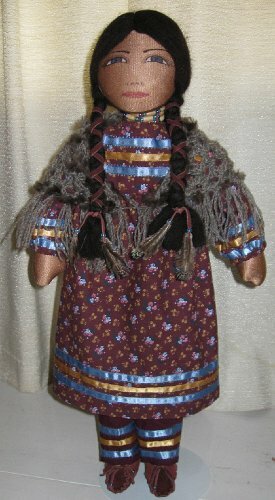 NKJ Native Originals is pleased to offer two Premium Doll Collections for the discerning collector. 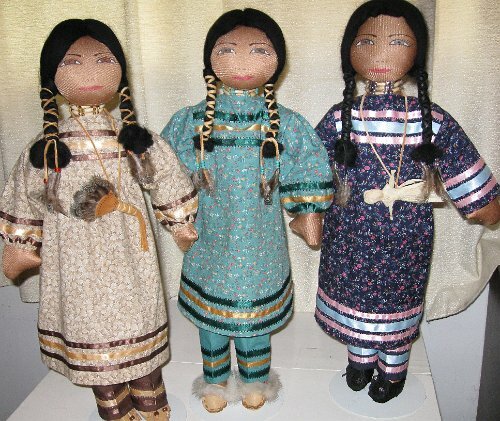 The first collection is entitled, “Standing Proud” and is a 27 inch tall, hand-made doll, dressed in traditional Iroquois women’s clothing with moccasins, hand-painted faces, and rich black Marino wool braided hair. Narda has created seven different colour combinations in this series and they represent a grandmother and her six granddaughters. Each one has a name and story card expressing her name and the skill that her beloved grandmother has taught her. Each of the granddaughters is either wearing or carrying the skill that she has learned. Each doll comes with it’s own doll stand. 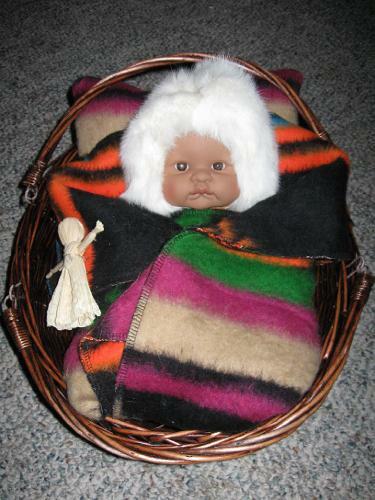 Dolls may be ordered individually or as a set. The "Standing Proud” series are priced at $250.00 each or $225.00 each if an entire set is ordered. 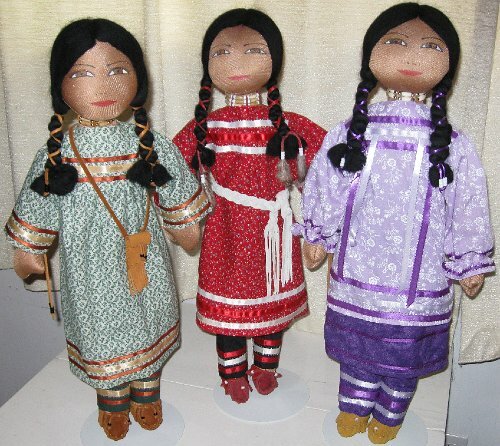 The dolls are named: “Seesfar” (grandmother) in burgundy, “Steps Lightly” in purple, “Meadow” in green,	“Feather” in tan, “Sky” in dark blue, “Morning Breeze” in red, “Little Fawn” in turquoise. 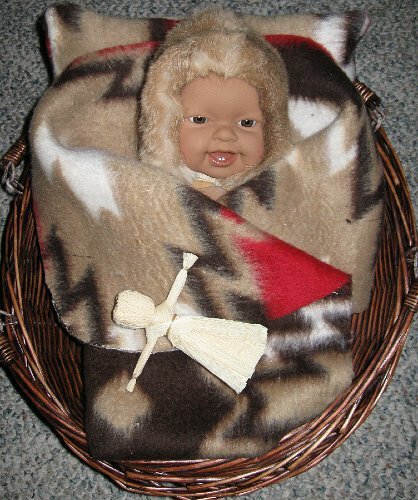 The second collection is entitled “Wrapped in Love” and features a ready-made 14 inch Indian baby doll. 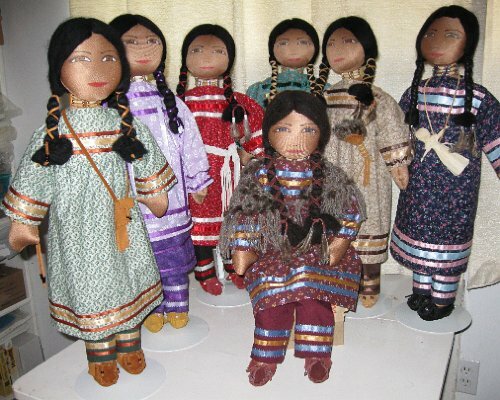 There are six dolls in this series, each with it’s own facial expression. 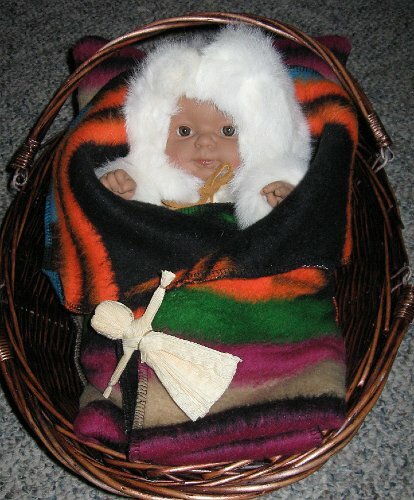 Again, they have individual names to match the expression on their face and stories to match the names that were given to them by loving parents. 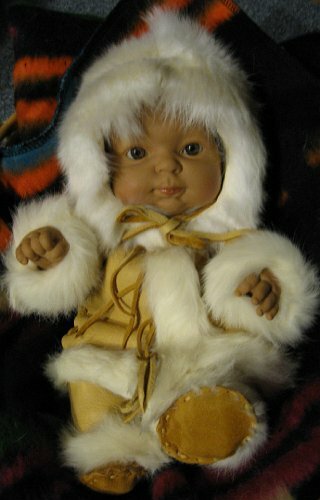 Narda dressed the baby dolls in hand-made buckskin clothing trimmed with rabbit fur, wearing a rabbit fur hat and rabbit fur-lined moccasins. 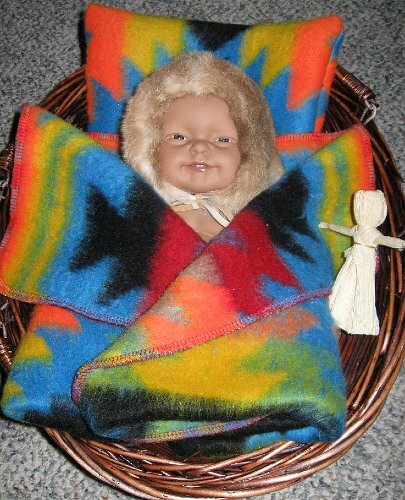 Each baby is wrapped in a colourful Indian blanket and is nestled against an Indian blanket pillow in a willow basket with handles for easy carrying. 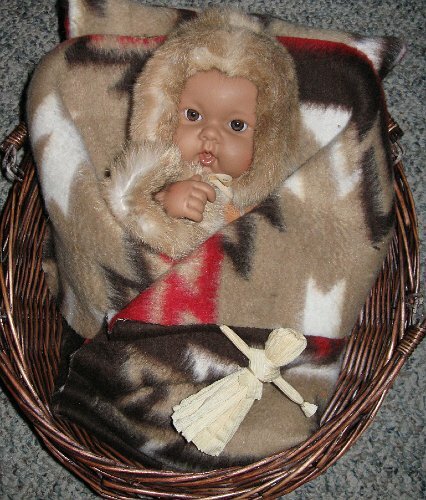 Suspended from the handle is a tiny cornhusk doll so the baby has something to play with before drifting off to sleep. 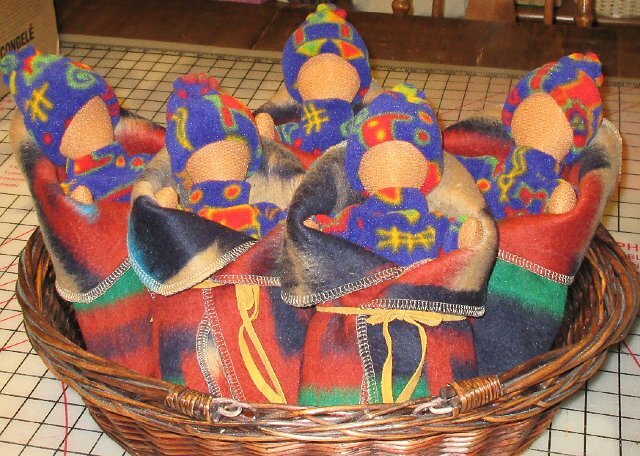 Dolls may be ordered individually or as a set. The “Wrapped in Love” series are priced at $225.00 each or $200.00 each if an entire set is ordered. 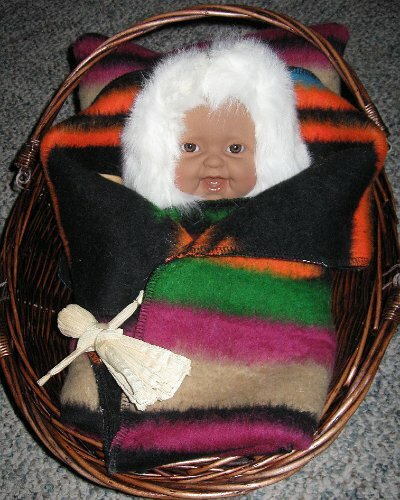 The baby dolls are named: “Winter’s Moon” “Laughing Star” “Gurgling Brook” “Bright Wing” “New Dawn” “Little Eagle.” There are also ""no-face" dolls available. The complete 'Standing Proud' Collection.